New to the world of Charlie N. Holmberg I have to say I was pleasantly surprised by The Plastic Magician. This book although a spin-off of the popular YA Paper Magician Series (which I have yet to read) this book definitely works as a stand-alone. The Plastic Magician treats us to twenty-year-old Polymaker (Plastic Magician) Alvie Brechenmacher’s adventures apprenticing abroad. Down to earth, intelligent and highly enthusiastic, Alvie leaves her German-American family in the states to apprentice for the world-renowned inventor and Polymaker, Magician Praff in London England. Enroute she meets a rather rude gentleman who causes her to get off at the wrong train station and this is where her adventure begins. Along her journey, Alvie meets wonderful friends, a kind-hearted love interest and a mentor who respects and believes in her. Magician Praff and Alvie work on a life-changing invention to not only help a friend but to present at a world-famous convention(contest) for Magicians. Magician Praff has already won the elite contest and it helped establish him as one of the best Polymakers in the world. When word gets out to rivals that they are presenting a groundbreaking device that will help many people, their work and lives are put in peril. Holmberg does a fantastic job crafting this fantastical cozy mystery. She creates a unique, fun magic system and her characters are interesting, quirky and downright loveable. Although the mystery is fairly predictable, I really didn’t mind because I liked the sweet story that unfolded along the way. There is a bit of adventure, a bit of romance and a great story that keeps you interested in Alvie’s journey. All in all a fantastic, fun read that I would highly recommend for young and old alike. Welcome Back to the “NEW” Professor Owl’s Book Corner where in addition to supporting those with special needs and learning challenges, we are also committed to being more focused on YA/New Adult reading and literacy. We will be featuring tips from a certified literacy tutor to help make your reading experience the best it can be. books. I just loved to read whenever I can. Several years ago, a young teen came to stay with my husband and I. He was a bright young man, who only was able to read at grade five level and really wanted to learn more,so he asked me to teach him. He was successful in improving his skills by the time he went home. It was around this time, I first learned about the volunteer opportunities at our local Learning Centre. I took the Laubach Literacy course and spent several years tutoring there and to be honest, I found it to be the most rewarding volunteer work I have every done. We will be showing you in our new series how to get these skills or improve the ones you do have by using Laubach Literacy Aids and at the same time have some fun doing it. If you know someone who would like to improve their skills, please show them these and perhaps help them if they need it. Literacy pioneer and missionary Frank C Laubach discovered that literacy empowers and enriches people’s lives. His work began in the Philippines in 1930 and he continued teaching literacy to impoverished people in one hundred and three countries for over forty years. If you have a computer or iPad we will list other websites below where you can play games to improve your skills, get help with your homework. We will also give you information on literacy, learning challenges and recommend the new books being released, and at times some old classics. When I contacted The Laubach office they really liked our ideas for Professor Owls Book Corner and gave us a lot of encouragement. The sound of x is made by putting the /k/ and /s/ sounds together ~ /ks/. The sound of qu is made by putting the /k/ and /w/ sounds together ~ /kw/. In each sentence below, circle the misspelled word that contain the /ks/ and /kw/ sounds. Write the words correctly on the lines that follow. 1. The teacher asked for kwite so she could kwickly give the directions. 2. That boks of books is kwite heavy. 3. The foks was so kwick we didn’t see it sneek by. 4. My mom always lets me miks the batter while she fikses the pans. If you would like to complete these lessons and email them to Professor Owl’s Book Corner ~ send your answers to: professorowl@outlook.com. We will include a lesson every second Thursday along with a newly released book review and if you email in your answers. At the end of every month we will have a draw for everyone who emails there answers~ and one lucky person will win a book. This was a great book, well written with interesting characters and story line. Once I started reading this story, I just could not put it down until it was finished. That left me wanting more so I am looking forward to the new books in this series, soon, I hope. To learn more about this great book and meet Myka and Mylo the characters in this new book of the month new release. No one knew the importance of the Scrachling-born, until now. When a desperate orphan called Eric Kettle scratches a desperate cry for help into a wall in 1840, little does he know that it’s about to be answered by luckless Max Hastings in 2016. Both Max and Eric are soon to discover that they’re Scratchling-born, and that along with Ellie Swanson, a no-nonsense Scratchling veteran, they are destined to form the Scratchling Trinity. With an evil headmaster, a flying boat, two vengeful giants and a clutch of ghostly helpers along the way, they are off on an incredible adventure! The Scratchling Trinity is the much-anticipated novel by Boyd Brent, author of The Lost Diary of Snow White trilogy. Available from: http:// www.amazon.ca and http://www.amazon.com and other fine bookstores. Is it just us, or do your socks mysteriously disappear when you do the laundry? You know two go in the dryer but only one comes out? You search high and low but to no avail… doesn’t that ever make you wonder? Write a story from the point of view of a lost object. Are you actually a lost sock or did you plan a daring escape from the dryer? Attention all aspiring authors: Have you heard of NaNoWriMo.org? Every November thousands participate in an online writing event to complete 50,ooo words in just 30 days. Now they’ve made it even better, CampNaNoWriMo.org is a virtual writer’s camp, designed to inspire you and keep you motivated while you work on your masterpiece. Camp NaNoWriMo.org runs twice a year in April and July and unlike NaNoWriMo welcomes word-count goals of 30,000 and up. Writers can tackle any project they’d like, including new novel drafts, revisions, poetry, scripts, and short stories. So sign up today! See you at camp! March Break Camps are available during the week that elementary, middle and high schools are closed for the March break or spring break. These are primarily day camps and offer parents the opportunity for care other than daycare, that keep your kids engaged, active and having fun. Pizza Nova raised $107,101 during the That’s Amore Pizza for Kids day sale on Tuesday, May 10! Thank you to everyone who supported the sale and our greatest thanks to Domenic Primucci and all the franchise owners and their staff who worked tirelessly all day to make this the best year ever! Autographs & Photos for all guests 3:15 p.m. to 4:00 p.m.
March of Dimes Canada’s fourth annual Calgary OpportuniTea High Tea will take place at The Westin Calgary, 320 4th Avenue SW, Calgary, on April 2, 2017. The event features actors from the top-rated North American soap opera The Young & The Restless, including Kate Linder (Esther Valentine) and Christian LeBlanc (Michael Balwin) who will be co-hosting the event, Bryton James (Devon Hamilton), Elizabeth Hendrickson (Chloe Mitchell), and Tracey Bregman (Lauren Fenmore). Our goal is to raise $40,000 at this event to support Alberta Peer Support Programs. Conductive Education® and Peer Support Programs in Calgary. Linda Olsen, Global Calgary News Anchor, will also co-host the event with Kate Linder. The tea will include a Question & Answer session with the cast, an amazing raffle, silent and live auction, autograph signing and photo opportunities! Guests will also go home with a gift bag full of goodies. Visit OpportuniTea Calgary 2017 website, where you can purchase your tickets online and find out more information about the event. On Thursday March 23, 2017 from 6:00 p.m. to 9:30 p.m. March of Dimes Canada will be hosting our First Annual Celebrity Bowling for Dimes Tournament at the Ballroom, 145 John Street, downtown Toronto. Teams will consist of 4 bowlers and a special celebrity (1/2 lane), or 8 bowlers and 2 celebrities (full lane). PLUS MORE CELEBRITIES TO COME! All proceeds from registrations and pledges will benefit our L.I.F.E. (Learning Independence for Future Empowerment) program at March of Dimes Canada, that supports youth with physical disabilities transition into adulthood responsibilities. For individual bowlers that raise over $1,000, they will be entered into a draw for a 60″ Sharp Television (retail value over $1,600)! We will also be holding a very select auction – what might a celebrity have to auction off you ask? You will have to come out to see! Visit Bowling for Dimes at www.marchofdimes.ca/Bowling for more details and to register. in Windsor on February 24th and in London, Ontario, on March 31st! If you are an individual living with a disability, health professional, service provider, caregiver /partner or family member, you should attend this free community resource showcase. ** Event will include lunch and networking opportunities. Please RSVP at 1-800-263-3463 or by email at events@marchofdimes.ca. / RSVP au 1-800-263-3463 ou par courriel à events@marchofdimes.ca. ** In the subject line, please be sure to identify the city where you wish to attend. www.laubachliteracy.ca ~Lauback website, resourses for Tutors and Student. April showers ~ Bring May flowers. During May, Cystic Fibrosis Awareness Month, the foundation makes a special effort to tell inspiring stories about Canadians with cystic fibrosis. They also highlight how important funding from Cystic Fibrosis Canada works each and every day to make a real difference in the lives of people with cystic fibrosis, and their families. If you have been diagnosed with Cystic Fibrosis you know, it is a serious disease, which causes returning chest infections and the failure to absorb nutrients from the intestines. Cystic Fibrosis is usually present from birth and occurs when a child inherits two defective copies of the gene responsible for CF, one from each parent. CF is a multi-organ disease, mainly affecting the lungs and digestive system. A build-up of thick mucus in the lungs causes severe breathing problems. It may be difficult to clear bacteria from the lungs, leading to cycles of infection and inflammation, which damage the delicate lung tissues. Thick mucus also blocks the ducts of the pancreas, preventing enzymes from reaching the intestines to digest food. People with CF must consume a large amount of artificial enzymes (usually 20 pills a day) with every meal and snack, to help digest and absorb enough nutrition from food. Cystic fibrosis affects each person with varying degrees of seriousness. Each person with CF follows a personalized treatment program. For many, life consists of a daily routine of physical and inhalation therapy to keep the lungs free of congestion. It also includes a high-calorie diet and regimen of pancreatic enzymes and vitamin supplements to ensure adequate nutrition. Regular visits to a CF clinic are essential. There is no known cure for cystic fibrosis. However, research inspires real hope. Since Canadian researchers discovered the gene responsible for cystic fibrosis in 1989, international research has brought us closer to a cure. The current pace of CF research suggests that the outlook has improved greatly due to the early diagnosis and new methods of treatment. A few seriously affected children have had a lung or lung-heart transplant that has improved their quality of live etc. Cystic fibrosis is a very complicated disease, but you will find plenty of information at your countries Cystic Fibrosis Foundation web sites. They are sure to be able to answer questions for you and your parents. The most cherished novels from England’s talented sisters, all in one volume. The Brontë family was a literary phenomenon unequaled before or since. Both Charlotte’s Jane Eyre and Emily’s Wuthering Heights have won lofty places in the pantheon and stirred the romantic sensibilities of generations of readers. For the first time ever, Penguin Classics unites these two enduring favorites with the lesser known but no less powerful work by their youngest sister, Anne. Drawn from Anne’s own experiences as a governess, Agnes Grey offers a compelling view of Victorian chauvinism and materialism. Its inclusion makes The Brontë Sisters a must-have volume for anyone fascinated by this singularly talented family. Charlotte Bronte lived from 1816 to 1855. Jane Eyre appeared in 1847 and was followed by Shirley (1848) and Vilette (1853). In 1854 Charlotte Bronte married her father’s curate, Arthur Bell Nicholls. She died during her pregnancy on March 31, 1855 in Haworth, Yorkshire. The Professor was posthumously published in 1857. Emily Bronte lived from 1818 to 1848. She wrote one strikingly innovative novel, Wuthering Heights, and was also a gifted and intense poet. She died of tuberculosis at the age of 30. Anne Brontë, youngest of the Bronte sisters, was born in 1820. She worked as a governess between 1840 and 1845, after which she published Agnes Grey (1847) and The Tenant of Wildfell Hall (1848) under the pen-name Acton Bell. Anne Brontë died of tuberculosis in 1849. Andrew Mitchell was one of the leading experts 0n highly advanced technology in Silicon Valley until he vanished following a car accident, which also injured his son, Alex. When a mysterious app from the future later appears on Alex’s phone, he and his friend Stephanie embark on a terrifying journey involving secret technology, corporate espionage, kidnapping, and murder in a desperate bid to save the future from the sinister Veronica Castlewood. This book has everything children and this adult love to read about. I could not put the book down until I had finished it, as the story kept me engaged until the end. Another great story written by Simon Rose, I look forward to reading his next book. After a freak accident you discover you have the ability to shapeshift into any animal. Choose an animal, write a story about what happened and explain your choice. Do you choose to be a lynx, bulldog or hamster and why? Get creative and have fun. Epic! is the #1 children’s ebook library, offering unlimited access to over 10,000 high-quality children’s books. Epic! has been called the “Netflix of kids’ books” – it’s unlimited library your kids can take anywhere! This book is wonderful. It truly has the makings to become a Holiday classic. The story is engaging, realistic, and has a dark but “feel good” vibe to it. The illustrations really bring the story to life in the format of the paneled pages- it was set up almost like a movie. At a time when the world is a mess, this book is a much needed glimmer of hope. This is a heartwarming story and perfect for both Christmas and Hanukkah. Deep undercover is an Assassin with dark secrets and a mission to defeat the Templar stranglehold on the nation’s capital. Soon the Brotherhood will know him as Henry Green, mentor to Jacob and Evie Frye. For now, he is simply The Ghost. Oliver Bowden is the pen-name of an acclaimed novelist. He has written all the Assassin’s Creed titles. The holiday season is about giving and receiving but material gifts aren’t everything. What is the greatest gift anyone has ever given you that wasn’t material. Write them a Thank You letter, thanking them for their gift. Reflect and write about what their gift meant to you in your life. Many interactive activities within the heart-warming story are paired to reinforce the storyline, so that your kiddo can better comprehend the content and improve: spatial awareness, working memory, eye hand coordination, sequencing and listening skills (for better handwriting and other fine motor tasks performance) as well as enhance his/her problem solving skills. “A Parcel of Courage” based on a true story of how a family of three siblings came together to help their grandmother overcome her fear of flying so that she could come out to visit them. Your kiddo will explore 15 beautifully illustrated interactive pages in the “I Listen” or “I Read” modes and play inside these pages to help our family meet their much loved Grandma and discover a magical surprise at the end. There are 7 tasks to complete within the story to unlock something that will help kids make their wishes come true! Independently explore and learn numbers and addition, sequencing, improve spatial reasoning skills, and develop visual memory skills. Earn points to add to your artifacts collection. Every game’s level rewards kids with mysterious outfits which transform into a magical airship. A game where the child takes the role of a waiter and plays with Grandma, who requests a number of servings from a dish and gets kids to strengthen their numeracy skills and learn simple math concepts. A Montessori sequencing activity that gets children to attach stamps to posts with funny animals into a particular patterns. Kids can mark stamps like real postmen and send mails to friends and family. This game gets children to fit the funniest and most delicious gifts in Grandma’s travel suitcase. It is a Tetris like puzzler that serves as a tool to develop skills of spatial reasoning. Aimed to enhance the work of the right brain hemisphere, this game is based on the method of Japanese Professor Makoto Shichida. It caters to the individual needs of kids to nourish their inner genius with fun and develop memory, imagination, creative thinking and other cognitive abilities. The color wheel is designed to help naturally form color perception and aesthetic preferences. There are many colors that are new to children, and will help expand both their vision and vocabulary. – Created for kids aged 3-7 years old. – Beautifully rendered graphics and original soundtrack. – Personalization and options for saving the game results up to four family members. – Opportunities to reminisce about grandparents and other loved ones whether they live across the globe, or down the street. Enjoy a whole new family screen-time with this very playful interactive kids book “A Parcel of Courage”! After a long break Professor Owl is back and it’s that time of year again, dust off those notebooks, sharpen those pencils it’s back to school…In this issue, we will share with you some of Professor Owl’s tricks to getting back on track and back to school. It is that time of year again, children will be going back to school. Many of them are looking forward to going back, however, for some it is the dread of the homework and lack of playtime can be a very scary thought. For others it is not school that bothers them but the thought of being beaten up, embarrassed or tormented by bullies. What is a bully? A bully is someone who finds power and self-worth by belittling or intimidating others. Sad thing is that often bullies have usually been the victim of another bully. 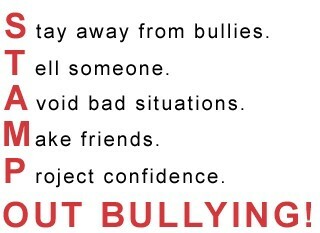 If you are being bullied the best thing you can do is tell someone. It’s not tattling, you are not telling to get someone in trouble, you are telling to protect yourself. Another thing to do is if possible is walk away or stay near an adult if you feel threatened. Remember being the victim of a bully is not YOUR fault. You may not be the one being bullied, but being unfortunate enough to watch it happening someone else. 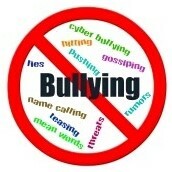 Do not join in, by encouraging or giving the bully an audience, if possible try to get help or find an adult. Whatever you do don’t try to fight the bully! Many years ago I was a housemother in a short term children’s home working with children who were deprived, abandoned or ill-treated and put in our care by Children’s Service. Over the past few years I have been doing a lot of research on children with special needs. It really upset me when I realized from my research that a child with a disability is more likely to be physically or verbally bullied than his typically developing fellow students. Depending on what your child can understand, describe what bullying is, what kinds of behaviour are unacceptable and explain that bullying is wrong. Some disabled children, who are used to being stared at, receive comments, and remarks, become used to subtle forms of harassment. Support your child with knowledge! Tell your child exactly what they should do when bullying happens. Tell your child to say nothing and simply walk away. Tell them exactly who they should then go and talk to at school if it happens. Teach your child proper hygiene habits, and outfit them in stylish clothes. Whether or not your child looks “right,” can make a huge difference with how they are treated by peers. Your child is already different, so don’t let their clothes and grooming cause further distinction. Stay in very close contact with your child’s special education teacher, social worker, school counselor, or anyone who is directly involved with your child’s school placement. Frequently “check in” for reports on how your child is managing amongst their peers. Ask your child how things are going, and look for signs of depression or negative feelings about school. You could also enlist the help of another responsible student at the school (a relative, neighbour, or friend’s child) to keep an eye out on your son or daughter, and let you know if anything seems amiss. When friendships start to flourish, teach your son or daughter how to maintain them. Have your child invite friends to come for ice cream, or watch a movie. Your child may need assistance and suggestions on how to be a friend, but do not be too forceful. Carefully observe whether their friendships are true and not deceitful attempts to take advantage in some way. A peer tutor can be a role model, school assistant, and protector of your child. Talk to the special education director in your school district, or the principal. Almost all schools have peer-tutoring programs, which could be extremely beneficial. Address any problems with bullying that you see. Explain that the current situation is not working, and changes need to be made. Be specific. Perhaps your child would do better in a self-contained classroom. Maybe a peer tutor, classroom change, or schedule adjustment is needed. Get the school “team” working on the issue. Students who bully should be reprimanded through the school. I would suggest you work with school officials to address the matter. Do not contact the perpetrator’s parents yourself. Bullying could be a symptom of bad parenting, so you might not get the results you’d want, anyway. Do You Need A Homework Helper? Back to school can be a lot of fun seeing old friends and teachers. One thing most children do not like about going back to school is the homework. Listed below are some websites that can help you with every subject – helping elementary and high school kids find what they need on the ‘net. 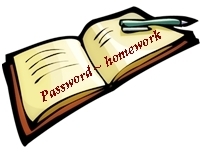 They cannot do your homework for you, but offer great age-appropriate kid-friendly links to sites, by e-mail. It’s back to school time and for many parents it means trying to come up with nutritious lunch ideas that their kids won’t trade. In many schools, the old standard peanut butter & jelly sandwiches aren’t an option anymore due to deadly peanut allergies. Although time may be tight making sure your child eats right pays off in the long run. The less processed high fat, high sugar foods in your child’s lunch the better. Cutting foods into small bite-sized pieces makes it easier for your child to eat lunch in the limited time they have. Tortilla wraps or pita bread are great alternatives to plain bread. Provide low fat dairy products and meats when possible. Homemade Bean, Rice and Cheese Burritos. Add lettuce, tomato, and avocado to up the nutritional value. Sandwiches made with whole wheat bread, pita bread or tortilla wrap, a protein such as tuna salad or sliced chicken breast, roasted turkey or ham with veggies such as cucumber, grated carrots, sliced apples or lettuce and tomatoes. Making your own “snack packs” with low fat cheese, cold cuts (cut with cookie cutters to make unique shapes) and whole grain or rice crackers. Small fruit kabobs with, fruit chunks (dip apples into lemon juice to prevent browning) melon balls, berries with low fat yogurt. I am an avid reader and have been since I was a very young child and loved nothing more than to lose myself in a good mystery. 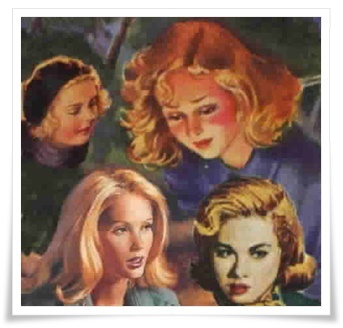 My love of Nancy Drew however, began forty-two years ago, when I purchased the books for my daughter also a book worm who admired Nancy and loved the idea of solving a mystery too. 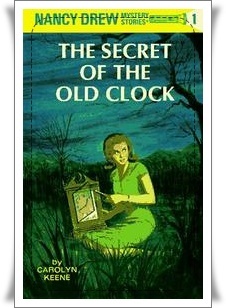 Last year for Christmas, my daughter and her husband gave me a gift certificate to purchase some E-books and since I write reviews on some of the old classic books for Professor Owls Book Corner; we decided this coming year to share with our readers some of Nancy Drew’s great mysteries. I brought the first three in the series and this month we are reviewing the very first book. This is the first book in the series and tells the story of Nancy’s search for the will of Josiah Crowley, a man who had seemingly intended to leave some much needed money to cousins and friend regrettably, greedy family members have laid claim to his fortune based on another will in their possession. Nancy believes Josiah wrote a newer will, and is determined to put things right. The story was as I remembered. The pacing is quick enough to compete with today’s fast-paced books, changes are smooth, and the ending completely satisfying. Young readers will likely find some of the overformal dialogue old, if not downright funny in places; however, in a world swamped with vampire, zombie, and other scary novel, a safe, old-fashioned whodunit might be a welcome break for readers of any ages. #26 by George Waller, Jr. The writers were hired by the Stratemeyer Syndicate and followed outlines that were provided by the Syndicate. Mildred Wirt Benson and Harriet Adams are considered the two most important Nancy Drew authors, and both women had a profound effect on the Nancy Drew series. However, Walter Karig is also considered important because the three volumes he wrote are favorites with many readers. This is the second book written by Simon Rose that we have been honoured to review. It certainly was another great book. 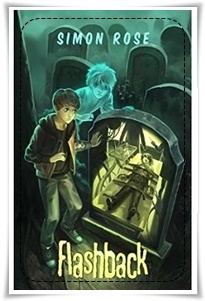 This book starts with fourteen year old Max visiting a cemetery with a friend and finds himself caught up in the adventure of a lifetime. He suddenly gets flashbacks and discovers the fate of another boy lies in his hands. Max must travel back in time to right the wrongs of the past. You are taken on a journey that is completely unexpected, and ended up somewhere you never would have expected. I love to be surprised when I read and was not disappointed! Professor Owl’s Book Corner will certainly be looking for more of Simon Rose’s books to share with our readers. 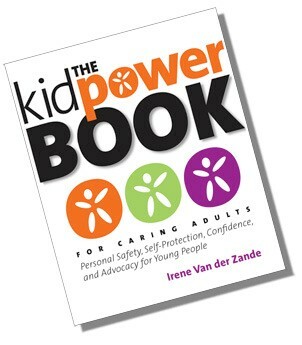 This is a great book for teenagers and will appeal to both boys and girls. I generally find books that involve time travel become confusing and to farfetched. Flashback is the exception. Simon Rose manages to keep it simple enough that the reader doesn’t need to get caught up in the details. They simply get to enjoy a good story. Write about a kind act that changes the world for the better. How does it change things? How does it affect both those involved and those outside of the situation? This can be real or make believe but think about, write and have fun!